Ferrari - I Say Ding Dong Shop - Buy Stickers, Decals & Unique Automobilia. C.Alquati Italian Tuning Specialist Car or Window Sticker. 4". Campagnolo Silver & Blue Globe Logo Wheel Centre Stickers. Set of 4. 55mm. Campagnolo White & Clear Curved Wheel Stickers. Set of 5. 3.5". Colotti Trasmissioni Gearbox Black & White Sticker. 150mm. D. Bonaldi & C. Crema Italia S.P.A. 2D 14-05920 Z Green & White Servo Sticker. 55mm. D. Bonaldi & C. Crema Italia S.P.A. Z2 Green & Off White Servo Sticker. 70mm. 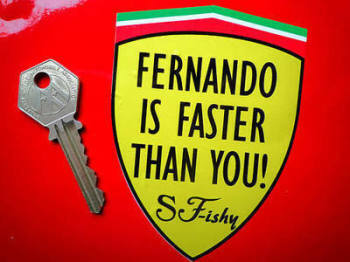 Fernando Is Faster Than You! Formula One Sticker. 3". 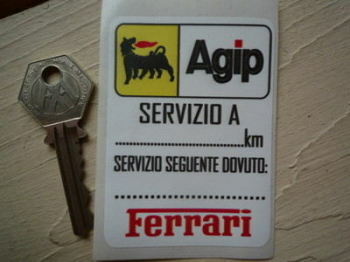 Ferrari & Agip Servizio A Service Sticker. 3". 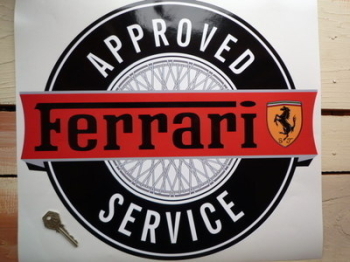 Ferrari Approved Service Sticker. 16.5". Ferrari Black on Clear Oblong Stickers. 2" Pair. Ferrari By Pass B-254 Baldwin Oil Filter Sticker. 4.25". Ferrari Checked Helmet Visor Sunstrip Sticker. 12". Ferrari Cut to Shape Text Stickers. Gold, Silver or Black. 4" or 7" Pair. 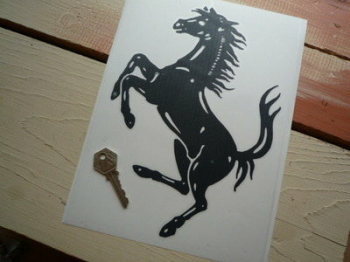 Ferrari Cut Vinyl Prancing Horse Sticker. 4" or 10". 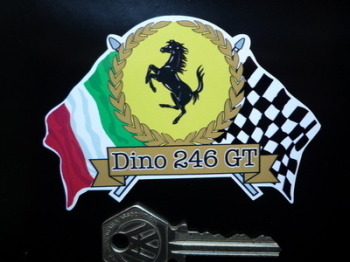 Ferrari Dino 246 Oblong Style Laser Cut Magnet. 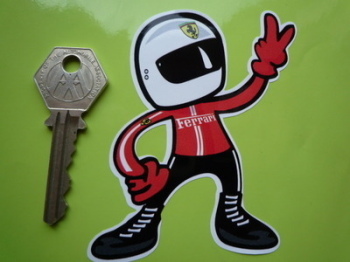 3"
Ferrari Driver 2 Fingered Salute Sticker. 3.5". 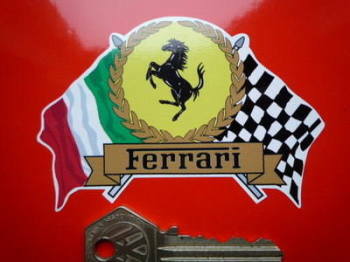 Ferrari Flag & Scroll Various Models Sticker. 4". Ferrari Full Flow B-253 Baldwin Oil Filter Sticker. 4.25". Ferrari Italia Tricolore Sticker. 4.75". Ferrari Italia Tricolore Style Stickers. 2" Pair.